Tyres: Giant Easy Balance, 12x2.125"
Adore is a fun and safe way to start riding bikes. 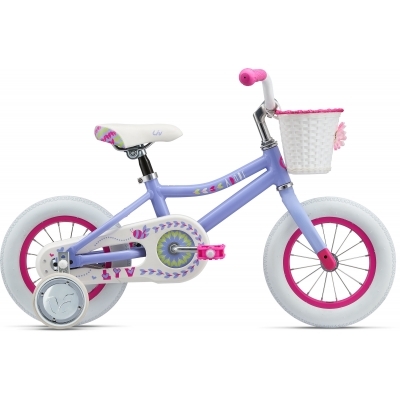 The fun colours and designs make this bike exciting for her to ride, and the front basket on Adore 12 and 16 is the perfect place for packing toys. 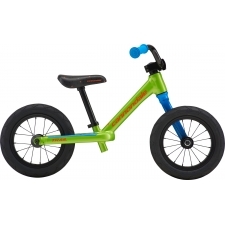 The lightweight aluminum frame with a low standover height inspires confidence for a safe ride. Adore introduces a hand brake lever that is positioned within close reach for safety and lets her settle in to big-kid components for easy adjustment to future bikes. A protective chainguard keeps clothing and fingers out of harm's way. The smaller diameter grips on Adore make for easy handling. 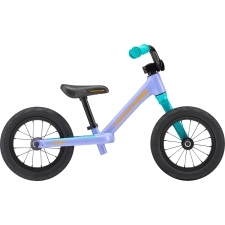 Adore 12 and 16 come with training wheels, which can be easily removed when the time is right, and a colourful front basket. 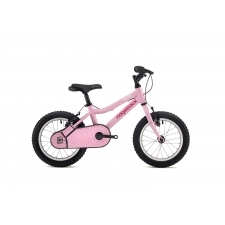 Buy your Liv/Giant Adore 12" Girl's Bike 2018 from Revel Outdoors.